"UGH!" I screamed trying to hold back tears that I could feel trying to break free. My eyes getting a terrible burning sensation. My heart feels as its being torn apart and tossed out the window. I flop down on my bed and face plant into my pillow, my phone falling to the floor. I honestly don&apos;t mind it as I hear it keep buzzing from notifications. 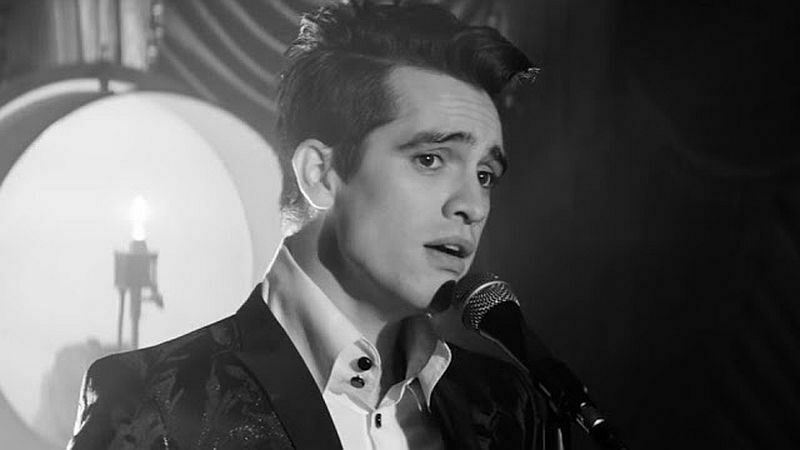 I roll over onto my back and face the Brendon Urie poster I had taped to the ceiling and at that moment I can&apos;t hold back the tears. I start crying. I start getting mad at my mom for this. "It&apos;s all her fault!" I say. If she only had known that he was my inspiration. The one that got me through the hard times in life. The one who made me feel worth something in this world, she wouldn&apos;t have sold my backstage pass for his concert. I would be able to meet him if it wasn&apos;t for her. I had saved up the money for it anyways, it&apos;s not hers to sell. I don&apos;t even know why she did it. She doesn&apos;t seem to care anymore! Also, on that very night of the concert she left me home alone. Ugh. I remember my phone falling on the floor and the buzzes of notifications so I dry my tears and pick it up. I look at it confused wondering if it was really him. "(Y/N)!" my mom called. I didn&apos;t respond, I was to upset. "(Y/N), get dressed and packed up!" she yelled. I didn&apos;t understand why so I got up and walked downstairs to see what she was talking about. "What for mom? where are we going?" I asked. "Were not going anywhere, you are the one leaving. For a year to be exact. Go get packed" She said. I couldn&apos;t believe this, she was sending me away! I tried to ignore the fact she just really wanted me out of the house and that maybe she was doing something nice for once. I went upstairs and packed my Panic! At The Disco suitcase and took it downstairs and out into the car. Me and my mom both got into the car. " Can you please tell me where Im going now?" I asked I got no response. I turned on my Panic music and let it play in the car. Usually my mom tells me to turn it off and for me to not listen to this crap, but this time she didn&apos;t say anything about it. We were driving for about thirty minutes till we got to this small warn down building. It didn&apos;t seem to be used in a long time but there were a lot of black mini vans there so I guess it was still in use. "were here" my mom said. "this is where im supposed to stay for a year?" I asked She didn&apos;t answer again. But when she did say something she seemed happy. She really wanted to get rid of me. We got out and my mom said to leave my suitcase here. We started walking to the doors and my mom handed some guy a card and he let us in. It was really dark inside. I had to squint to see the floor. My mom led me to an even smaller room that I could see was lit by a candle. she walked me to the room and pushed me in and shut the door behind me. I was scared, The room was empty except for a small table, two wooden chairs right next to each other and a small candle sitting on the table. I decided to sit on one of the chairs and wait for something to happen. I was trying to hold back tears as I couldn&apos;t keep the thought of my mom just leaving me like this out of my head. All of a sudden I hear a loud thud that scared the crap out of me and as I look over to where the noise had come from and there was a man who had tripped on a brick. I quickly ran over to help him up. " Oh my gosh! Are you o-" I was stopped when I saw his face. I was no longer able to let words come out of my mouth. I just covered my mouth and slowly stepped back. It was Brendon! My eyes started to tear up and get that terrible burning sensation again. "Don&apos;t cry! Come here." He said. I just stood still. Scared out of my mind to be standing in the same room as him. Since I wasn&apos;t moving he got up and walked over to me and wrapped his arms around me holding me tight. All I could do was sink into the hug and let my tears fall. It was like that for what felt to be forever but only like a minute. After he let go he wiped my tears away. "A-a-re y-you- o-ok?" I managed to squeak out. "Me? Oh! Haha! From the fall! Yes im fine. Just a little scrape on my leg. What about you? Your the one crying" He chuckled. "I-im f-fine. J-just a bit s-shocked" I said. He gave me another hug and I blushed. Then he walked me over to the chairs and we both sat in them. "So I guess you don&apos;t know what&apos;s going on by your reaction" He said. "Y-yeah, I-m really confused. What&apos;s going on?" I asked. "Well your mom made you think she sold your backstage pass for more money but she didn&apos;t sell it at all. She used it at my concert so she could talk to me about how much you go on and on about meeting me, and how you want to tell me all this stuff and what not so I gave her a great idea and she was thrilled" He said. At that moment I was just confused out of my mind. I wasn&apos;t sure if I should be mad at my mom for taking my backstage pass or if I should be happy im with my idol. "so why did I need to pack?" I asked. "Because, your going on tour with me!" He said. I felt like crying again and Brendon pulled me into his lap and held me tight. I never wanted to let go. Brendon smiled and we both stood up. I heard a crinkle in my back pocket. I reach back and pull out a piece of paper and on the front it reads "to Brendon" Omg, I had brought my note I was gonna give him at the concert. "Uh Brendon, I have this note I was gonna give you on the day of that concert" I say handing him the note. He opens it and starts reading it and I sit down burring my face in my arms. 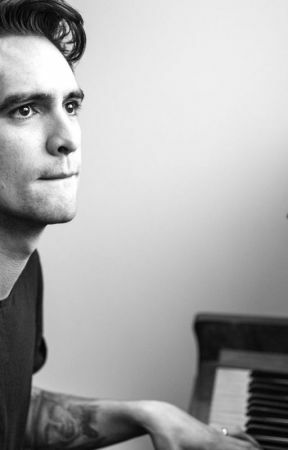 Dear Brendon, I wouldn&apos;t say im your biggest fan but I am one of your biggest. I have my room covered in posters of you and my whole wardrobe is your band merch. I never thought id be giving you this but since I am, I thought I mine as well tell you important things, not stupid stuff. So basically ive known you since your band started and ever since than ive been different. I suffer from a great depression. But it isn&apos;t so great anymore. After I started listening to your music and watching your vines I felt as if we had a personal connection. I felt as if someone cared. I was lonely till I met you. I just hope you can remember that one special fan that saved up 1000 some dollars just to meet her idol and the one that helped her depression go away without trying. So I would just like to say Thank you and please don&apos;t forget me. 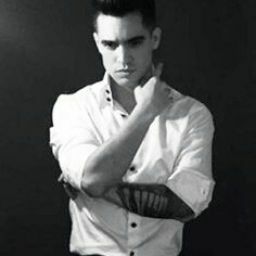 I could see Brendon&apos;s eyes getting foggy. He was actually tearing up! I started to tear up to and he turned around and gave me the biggest hug ever! "I wont be forgetting you any time soon!" He said.